It’s one of the most iconic pictures in American history. On August 14, 1945, World War II ended. In New York City’s famous Times Square, people gathered to celebrate. At the moment the war ended, a young nurse named Edith Shain was grabbed and kissed by a sailor in full uniform. 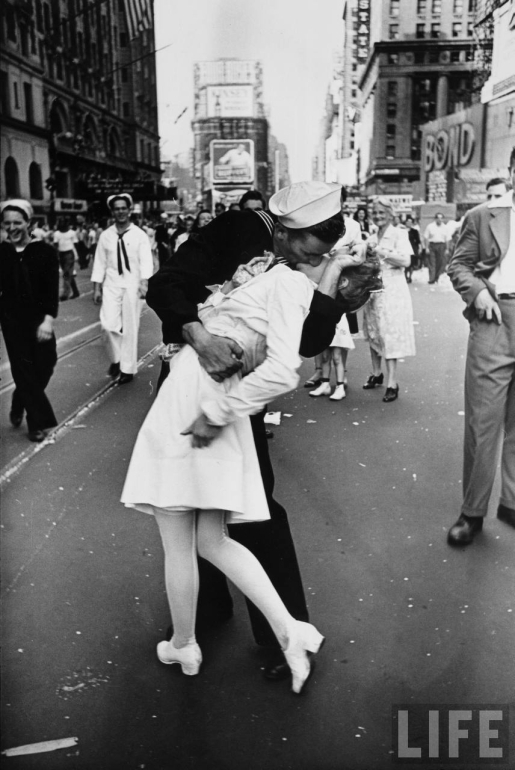 The resulting picture, called Times Square Kiss, was front-page in Life Magazine and has become an American institution. The only person whose identity is known in the picture was Ms. Shain, who passed away at age 92 in Los Angeles yesterday. The search has continued for the male soldier in the picture, whose identity has remained a mystery since the photo was taken. Ms. Shain, the kissee, didn’t even know the guy who was smooching her, he just grabbed a random nurse to commemorate the end of the war. His identity might never be known. The people of the world’s greatest generation are passing away, one by one, and a living link to history is dying in the process.